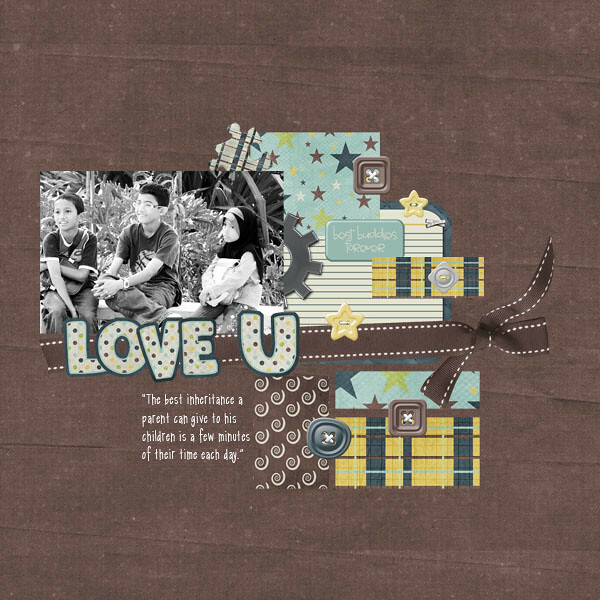 Another fun kit from Inspired Designs called Best Buddies Forever. “When you're a boy, there is nothing more awesome than having a best buddy! Someone who you can depend on and share your fun times with. This kit is all about celebrating that friendship. With a bright color palette full of blues, greens, browns and yellows, with adorable doodled elements, this kit is sure to become a favorite you'll scrap with again and again. “ excerpt from product description from Sunshine Studio Scraps.